What makes Big Cheer Charity Event so popular? 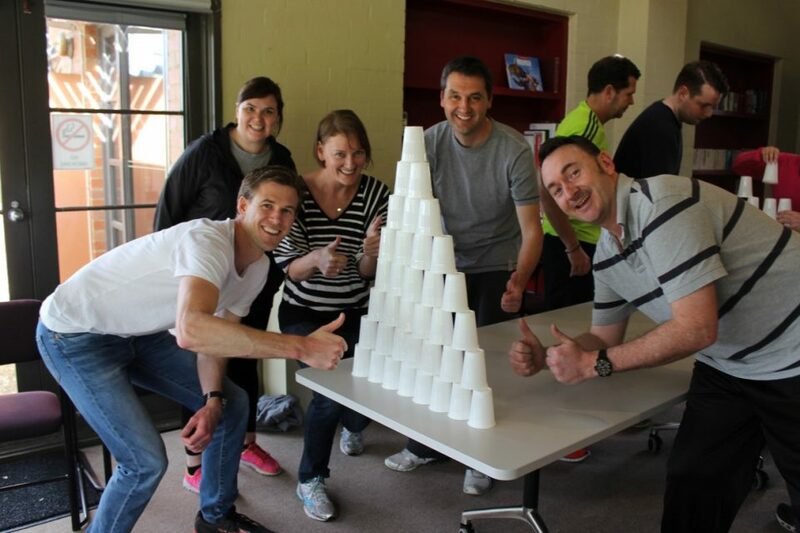 A social responsibility team bonding program that tugs at the heart! 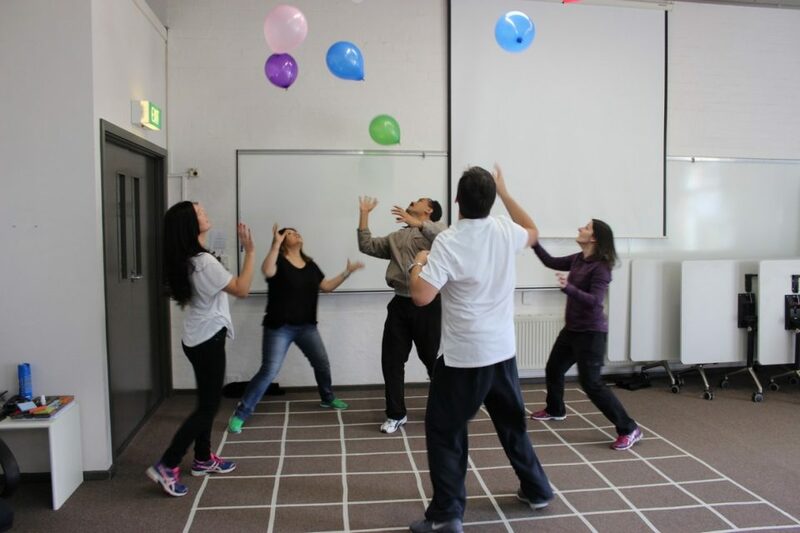 This fun charity team building activity begins with teams having some fun participating in a series of challenges and tasks. This is where team spirit and determination are the keys to success as they are playing to receive the vital pieces necessary to build an object that culminates in the final challenge, the building project! This is a fun and highly rewarding indoor/outdoor activity that is designed to enhance interaction, build teamwork and unity and ultimately create a positive shared experience the team will forever remember! 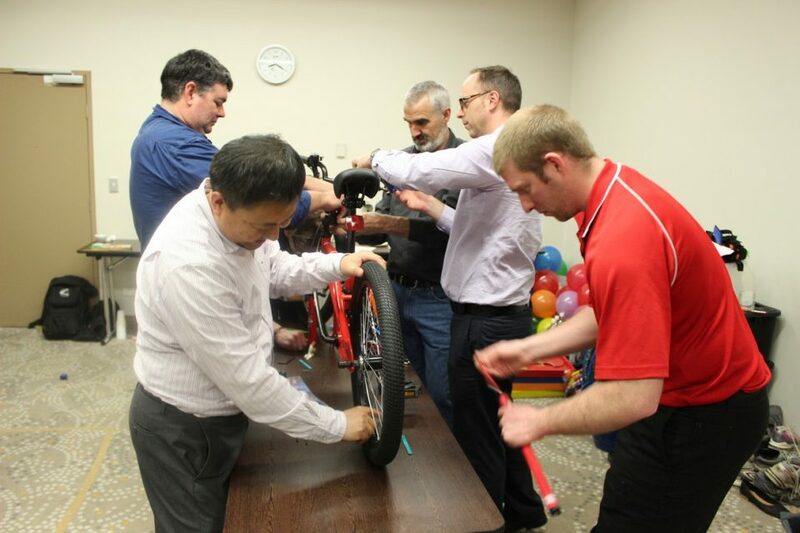 After each team has finished building their special masterpiece which can be a bike, dog kennel, toys, furniture or other equipment, teams quickly discover that their masterpieces are actually going to be donated to an underprivileged child or homeless animal and quickly they discover their efforts have all been worthwhile. Cheers go up and the realisation you have made a difference to someone’s world sets in! There is nothing more satisfying when you see the atmosphere in the room change from being a fun team building experience to a real life changing one as you see this Big Cheer go up and everyone realises that what they have done is going to make a real difference in someone else’s world. 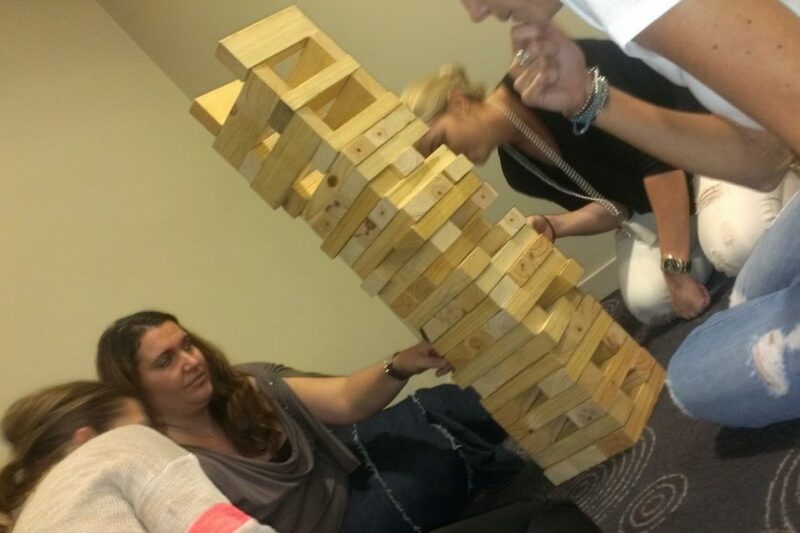 This is a great activity that requires communication, team work, creativity, decision making and a competitive spirit. We can recommend a charity or you are more than welcome to use your own. 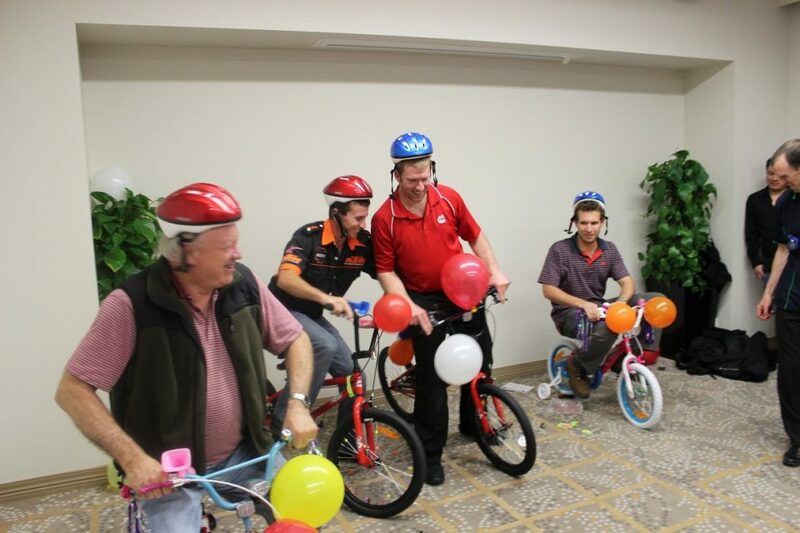 The Big Cheer team building program can be tailored to the charities requirements such as being themed around food ie: food banks, meals or the environment ie: planting trees or collecting rubbish through to building projects involving bikes, toys and furniture etc. This activity is fun, enjoyable and can literally be enjoyed by anyone. This activity has a low intensity level. Q: CAN I CHOOSE THE CHARITY THE GOODS WILL BE DONATED TO? Yes you can or we can provide one from our list. Q: WILL THE CHARITY RECEIEVE THE DONATION ON THE DAY? We try and always have a representative of the charity be there on the day to receive the donation and if possible the children as well. Whilst this is not always possible, we will endevour to have at a minimum a representative from the charity be there on the day. Q: HOW MUCH EXTRA TO INCLUDE THE DONATED ITEMS? Until we know whether you would like to donate a bike, furtniture, dog kennels, foods etc it is difficult to estimate a cost. Therefore this compoment is added to your quote once we know which items you would like to donate, along with the number of participants and the duration you would like your event to run for. We also will discuss with you how many items you wish to donate as this also has a factor on the final price.